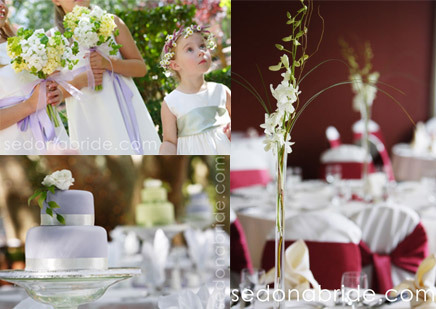 Elegant Sedona Weddings - Sedona wedding planner, Sedona wedding destinations. If you want nothing but the best on your wedding day, Sedona offers some wonderful options. A small number of superb, world-class resorts, exquisite gourmet catering, and outstanding decor and event design are all available here – with a backdrop of some of the planet’s most spectacular scenery. Yet, while Sedona offers world-class services, and is a renowned wedding destination, it’s still a small town, so top-flight amenities for elegant weddings are limited. This means that those who desire only the best need to make their plans early, to avoid disappoinment. This is where Weddings in Sedona can help. We know which vendors will satisfy your discriminating tastes, and which simply will not. We have strong and long-standing relationships with all the upscale locations in our area – relationships which help us ensure that your special day will proceed flawlessly. Best of all, we provide the kind of responsive, personal service and scrupulous attention to detail which you deserve and expect. If you desire this most important day of your life to be a truly exquisite experience, in one of the most beautiful places on the planet, call us.